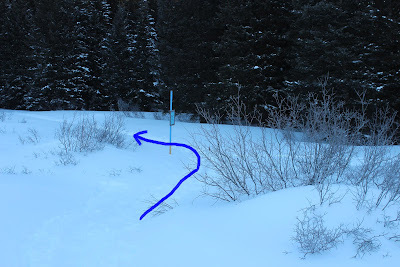 The Sheep Nordic trail is part of the Ward Nordic system of trails located on the southern slopes of the Grand Mesa National Forest. The Sheep Nordic trail is an ungroomed back country trail that is pretty well marked with the customary blue diamond Nordic trail markers. The southern end of the trail begins off of the Skinned Horse trail and stretches over towards Sheep Lake where it connects up with the Ward trail. 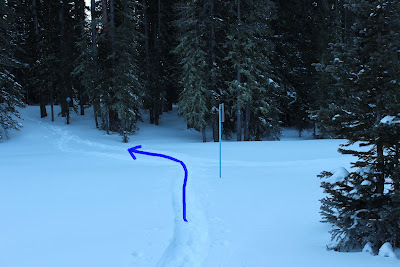 There are usually some maps at the trailhead that come in handy if you are unfamiliar with the area and how each of the routes interconnect. 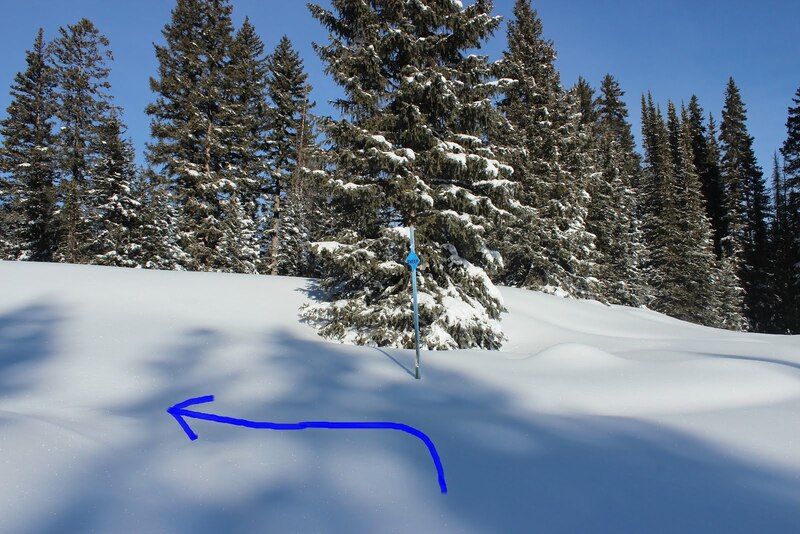 To be on the safe side or to plan ahead you can also download a map from the Grand Mesa Nordic Council website at gmnc.org. There is also a trail grooming donation box if you would like to show your thanks and contribute to the cause. 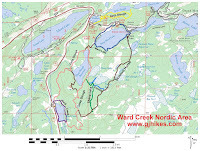 While the Ward trail is usually the only groomed trail in this area there is still a lot of work put into maintaining the markers on the back country trails and removing fallen trees. The major intersections of the trails are marked with a plaque with a map of the area and a red dot showing that location on the map. You might notice some small differences from the signs and the maps available online and at the trailhead. As trails are added or routes improved it is easier to update the printed maps than all of the signs. The signs are extremely important if you are not familiar with the area because they will help you find your location on the printed map as well. 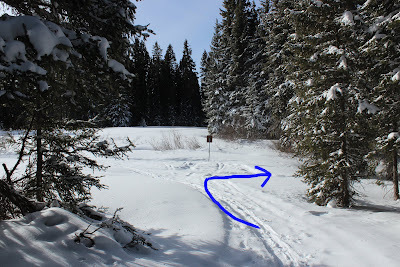 There is usually also another sign with the name near the beginning of each trail. 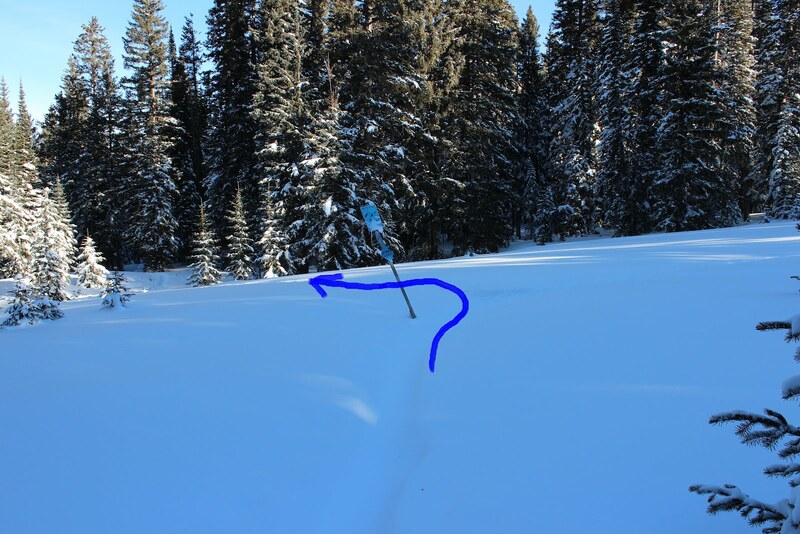 That might not seem like any big deal when there are lots of tracks to follow but those tracks disappear awfully fast when it is dumping snow and in wind blown areas. There are several different routes that you can make use of to get to the sheep trail. This post follows the Staircase trail which is the shortest way to go. 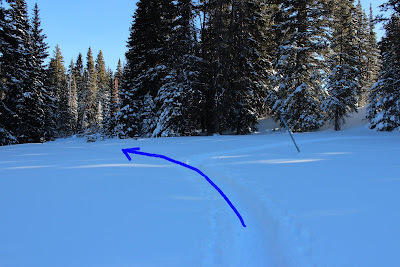 The spot where the Sheep trail begins or departs from the Skinned Horse trail can be a little confusing. The spot is about 1.5 miles from the trailhead if you came up the Staircase trail. Most of the tracks tend to shortcut a bend in the trail that wraps around a small grove of trees. Go to the left at this point and you should be able to see the regular trail junction a hundred feet or so in the distance. According to the trail sign and the current maps this marks the beginning of the Sheep trail. The trail is well marked if you happen to be breaking the way after a fresh snow. Within less than a half mile the Sheep trail is met by the Finney trail at Finney Reservoir. 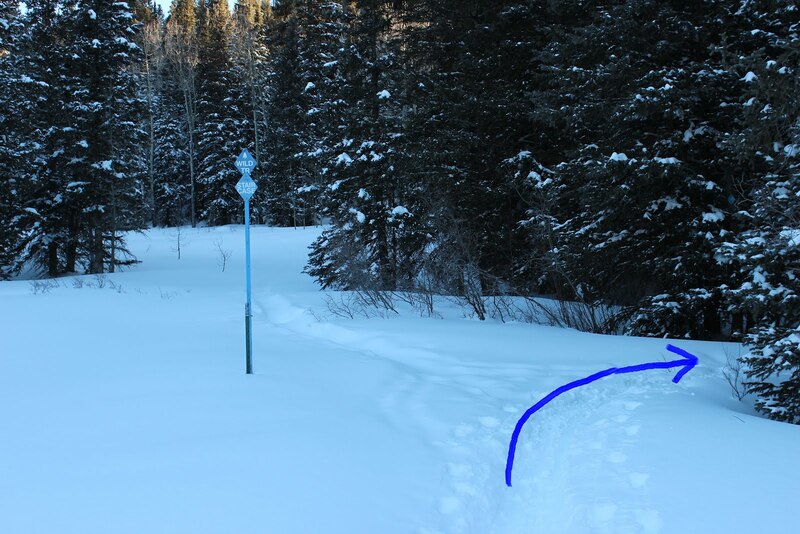 Bear left at the next sign for the Sheep trail and you should be able to start picking up the blue diamonds on some of the trees. 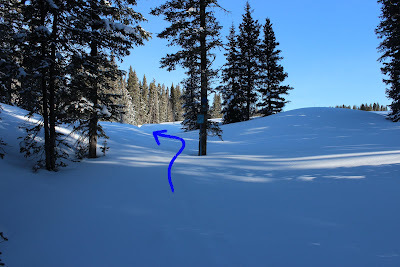 If there are no other tracks and you aren't sure if you are going the right way you might try looking back over your shoulder and see if you can spot any blue diamonds for people that would be traveling in the other direction. Finney Reservoir is the high point elevation wise for the Sheep trail. 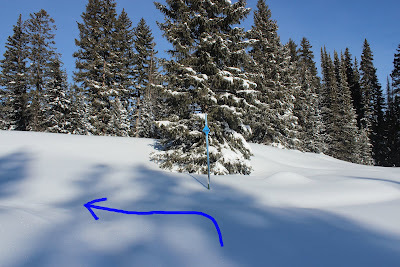 At this point you are a little over 300 feet higher than the trailhead. After connecting back up with the Ward trail it is an easy half mile back to the Staircase trail. There is actually a trail sign for the Staircase trail about 2 tenths of a mile before you get to where we originally joined the Ward trail on the trip up the mountain. It is a very direct route that cuts off over a quarter mile all together. 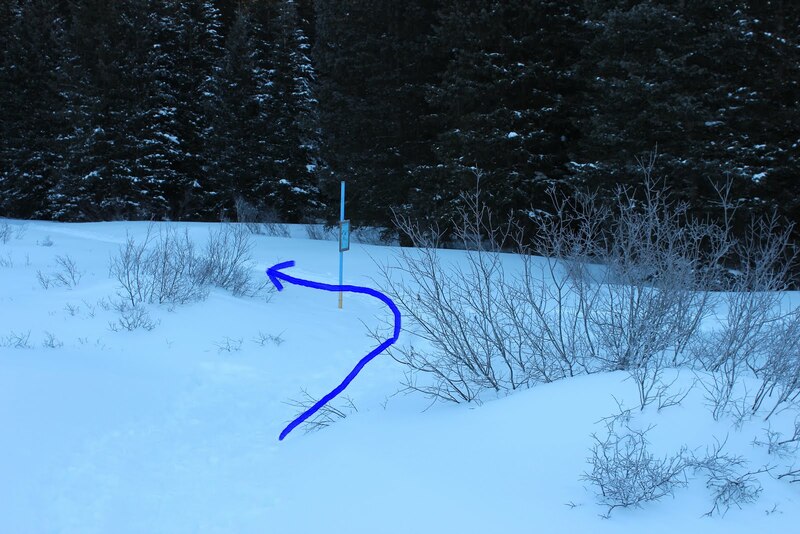 The trail is well marked until you get into the aspens but all you have to do is keep heading downhill until you get to the clearing where rest of the route becomes obvious. This turns out to be a pretty good outing for a trail that by itself is only about a half mile long. 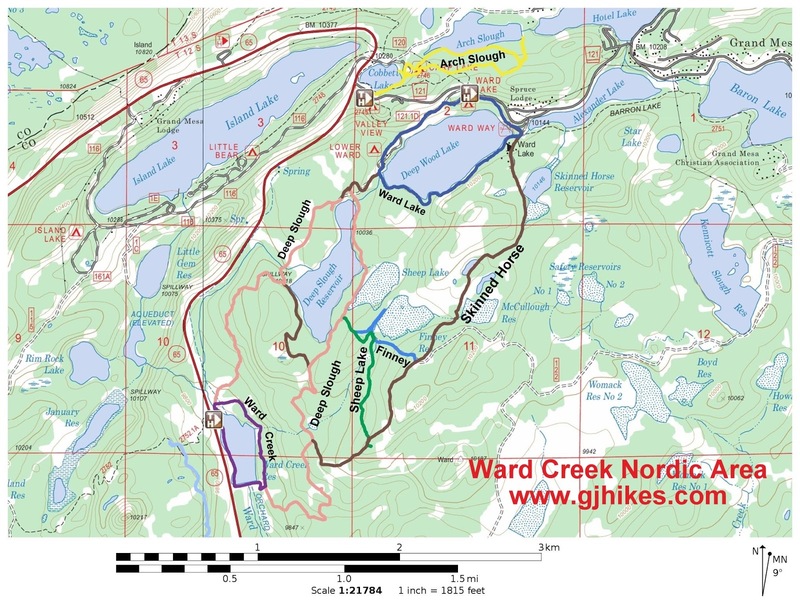 You could just as easily begin at the Ward trailhead rather than at Ward Creek Reservoir. There isn't a restroom at the Ward Creek trailhead but it is just past the Visitor Center where they have nice warm heated restrooms with running water that are open 24 hours a day year round. Wherever you begin at the Sheep trail makes for a fun outing and a good workout. If you would like to see it for yourself then all you have to do is 'Take a hike'.